Researchers from the University of Surrey, UK, have developed an iPad app that could change the way wildlife is monitored in the future. 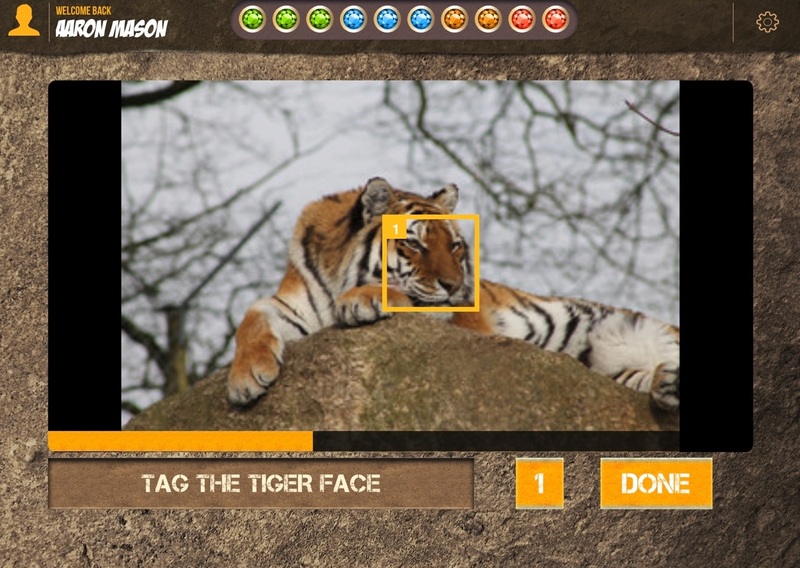 The Wildsense app loads photos of tigers from the web for analysis by players in return for points. These ‘citizen scientists’ examine these photos and provide further behavioral context that does not typically exist with the image alone. For example, how many tigers are in the image, what are the tigers doing, and what is their environment? 97% of wild tigers have been lost in just over a century, leaving only around 3,200 in the wild today. Monitoring endangered species is of vital importance and helps us to better understand behavior and habitat conditions. However, using tags and collars can be physically intrusive or simply impractical in some cases. Now, researchers from the University of Surrey, UK, have developed an iPad app that could change the way wildlife is monitored in the future. The Wildsense app is a free game that loads photos from the web for analysis by players in return for points. These 'citizen scientists' examine the photos and provide further behavioral context that does not typically exist with the image alone. For example, how many tigers are in the image, what are the tigers doing, and what is their environment? "Our initial focus is wild tigers, which is a challenge as it is difficult to distinguish between photos of actual tigers from the vast number of images online," explains PhD student Aaron Mason. "If you type the word 'tiger' in a search engine you get inundated with everything from famous golf players to baseball teams and cuddly toys. Our algorithms sort images by relevance using image metadata, which includes location, usernames, and tags, successfully separating images of real tigers in the wild from other images online." The app makes use of a virtual server and cloud storage for images. "Monitoring top predators such as tigers provides an important indication of habitat quality, as well as gaining insight into these beautiful animals themselves," says Paul Krause, a professor of software engineering. "The Wildsense app is an important step forward in our program of developing methods to track wild animals without resorting to intrusive physical tags or collars".